This is a CD storage cabinet with drawers behind the doors that are fitted out to display and store CD's. 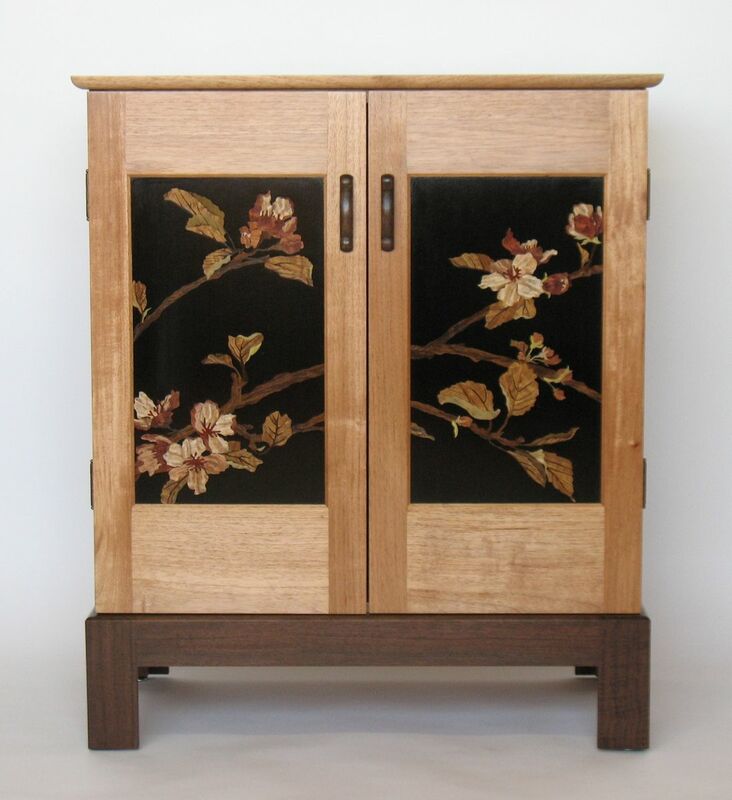 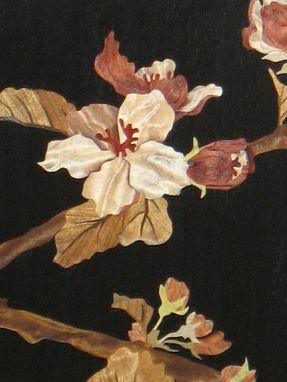 The marquetry panels depict graceful limbs of the flowering apple tree. 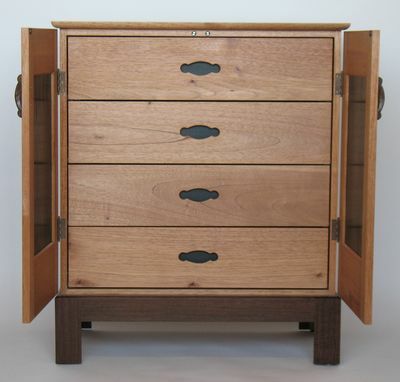 The wood pulls are shaped and coved for a comfortable grasp.